AOL brought out the Valentines Day theme by changing the entire page to pink in addition to adding some roses to their logo. It sent out the love vibes instantly. Nicely done. Ask.com always goes all out on their homepage for special holidays. This is a great photo. I really like this one. Here’s the home page of Dogpile. This is probably the only smaller search engine that actually participates in these holiday homepage / logo changes. I like the big ugly bulldog cartoon at the top. 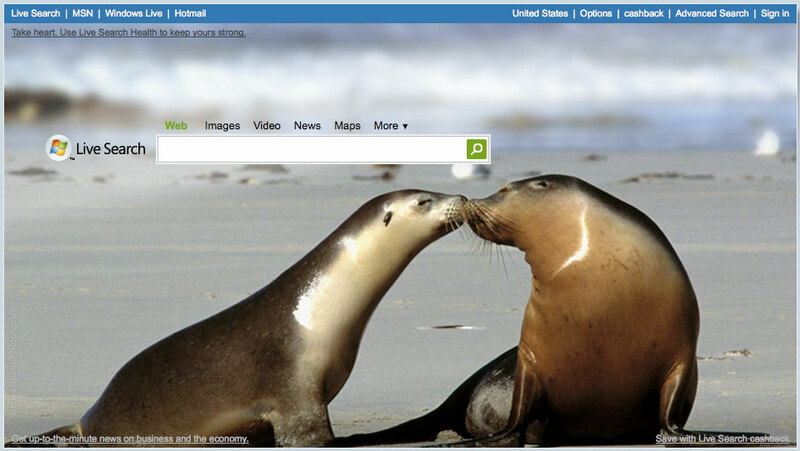 Here’s the search bar over at MSN.com. They didn’t do a theme on this page, but at least they added a nice little logo to the search bar at the top page. YouTube never really goes all out for any holidays, but you can be sure that they’ll update their logo. Todays logo with a rose laying in front of it certainly is classy. I like it. Last but not least, the logo I’m sure all of you have already seen; Google’s. I actually really like their logo this year. The bright red color and the X O is great. I actually saw this new late last night, and forgetting that the next day was Valentines Day I thought the logo had something to do with a serial killer. Great logo though. 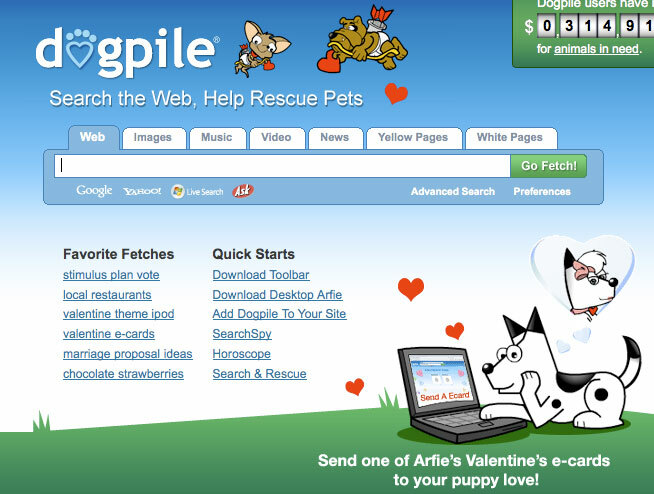 I think all of the search engines that participated in the Valentines Day theme did a great job. I wish more sites would’ve joined in the fun, because these posts are always a good time to research and write up.